A picture from Valletta, Malta. 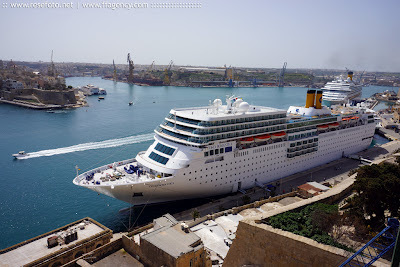 Costa neoRomantica (formerly Costa Romantica) is a cruise ship for Costa Crociere completed 1993 as a sister ship to Costa Classica and was refurbished in 2003. Her public rooms are decorated with rare woods, Carrara marble, and millions of dollars in original works of art. There is also a full luxury spa aboard. Her decks are named for well-known European cities: Monte Carlo, Madrid, Vienna, Verona, Paris, London, Copenhagen and Amsterdam. 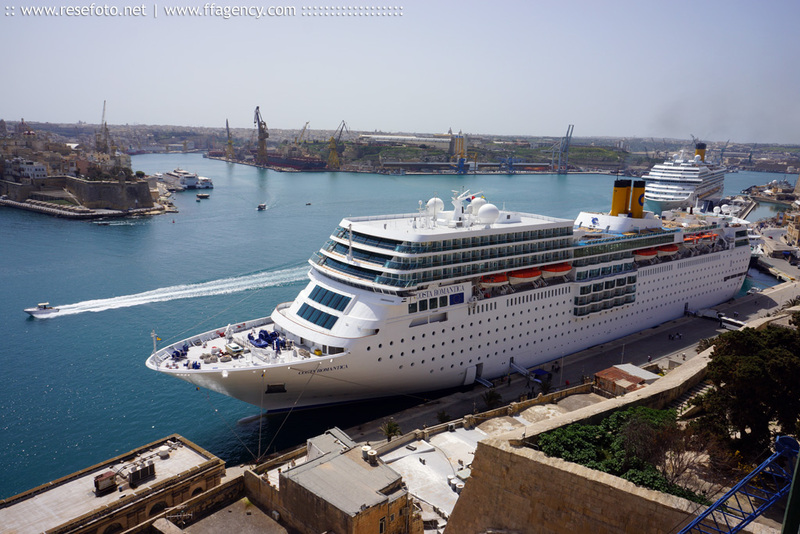 In November 2011, Costa Romantica underwent a €90 million refurbishing. Two new half decks were added as a part of the refurbishment. This increased the gross tonnage of the ship from 53,000 to 56,000 tons. After the refurbishing, the ship was renamed neoRomantica and started her first journey with the new name during March 2012.